Here's one of my other favourites: 'genial' Gene Colan. 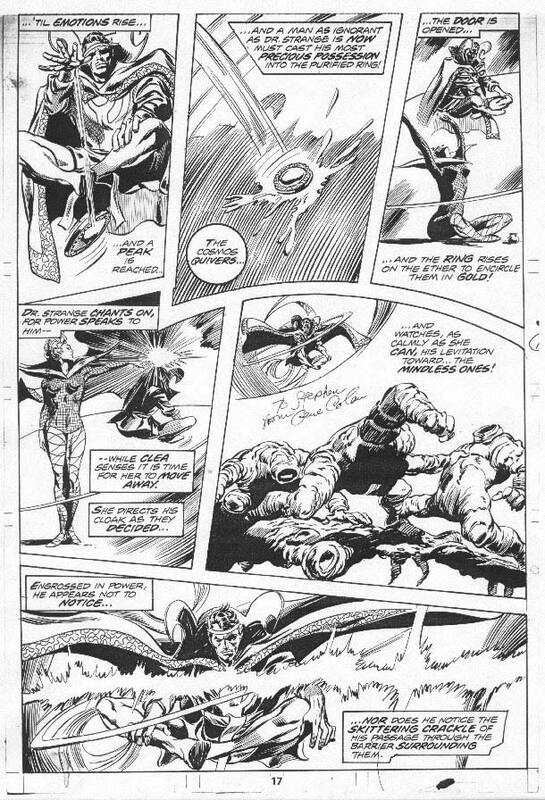 Colan - whose art has a delirial, woozy, psychedelic quality - was the definitive artist for Dr Strange and Dracula. Colan did some good Captain Marvel stuff as well. Nostalgia-arama! 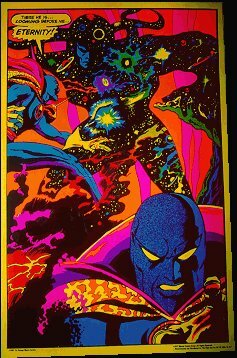 Yeh, I'll have to dig around for exact dates; the Kirby stuff is from early sixties, steranko from mid to late sixties, colan from seventies. I know that's unhelpfully non-specific, but I haven't the energy to dig out the refs at the moment. Will do asap however.